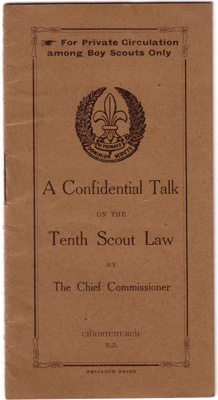 A booklet written by the Chief Commission, ( Col. Cossgrove ), and marked "For Private circulation among Boy Scouts Only". 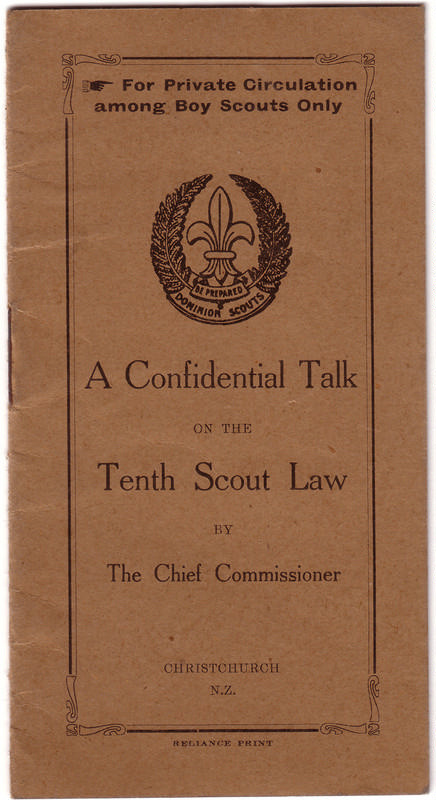 The 10th Scout Law which this booklet discusses is "A Scout is clean in thought, word, and deed" which often proved difficult to explain in certain social environments. Booklet undated but would have been produced during the late 1910's.